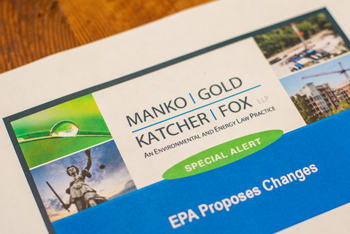 On July 23, 2018, acting EPA administrator Andrew Wheeler signed a Final Rule exempting farms and other agricultural operations from requirements to report air emissions from animal waste under the Comprehensive Environmental Response, Compensation and Liability Act (CERCLA) and under the Emergency Planning and Community Right-to-Know Act (EPCRA). This rule, which was published in the Federal Register on August 1, 2018, implements the provisions of the bipartisan Fair Agricultural Reporting Method (FARM) Act signed into law by Congress on March 23, 2018. The FARM Act was drafted to override an April 11, 2017 decision by the D.C. Circuit Court of Appeals that EPA lacks the statutory authority under CERCLA/EPCRA to create reporting exemptions for these emissions. EPA previously attempted to create these exemptions in 2008, and after almost 10 years, farmers across the country are no longer required to treat these emissions as CERCLA-reportable releases. Animal waste means feces, urine, or other excrement, digestive emission, urea, or similar substances emitted by animals (including any form of livestock, poultry, or fish). The term “animal waste” includes animal waste that is mixed or commingled with bedding, compost, feed, soil, or any other material typically found with such waste. (2) Under normal conditions, produces during a farm year any agricultural products with a total value equal to not less than $1,000. Interestingly, the new exemption includes Concentrated Animal Feeding Operations (CAFOs), which were not included in the previous exemptions enacted by EPA in 2008 and struck down by the D.C. Circuit Court of Appeals. While animal waste at CAFOs and farms can be a significant source of hydrogen sulfide and ammonia emissions, the reporting requirements of CERCLA and EPCRA were originally enacted for the purposes of planning for and responding to air pollution emergencies at toxic chemical sites, and were never intended to cover normal air emissions from animal waste. A press release from Senator Pat Roberts (R-Kan), co-sponsor of the FARM Act and chair of the U.S. Senate Committee on Agriculture, Nutrition, and Forestry estimates that these exemptions will reduce the reporting burden on more than 100,000 agricultural operations across the country. For additional information, call or email William Hitchcock at 484-430-2356.